Nasser al-Hafi was an Egyptian lawyer and politician. David Parker Craig was an Australian chemist who was Emeritus Professor at the Australian National University in Canberra, where he was the Foundation Professor of Physical and Theoretical Chemistry in the Research School of Chemistry. Donald Chester Zalesky, better known by his ring name Curly Moe, was a Canadian-American retired professional wrestler best known for his time in International World Class Championship Wrestling. He was a popular "babyface" in the promotion during the early 1990s, whose gimmick was based on the character Curly Howard from the comedy team The Three Stooges. Bill Apter's 1Wrestling.com has called Curly Moe one of the "silliest characters" in pro wrestling history. David Aronson was a painter and Professor of Art at Boston University. Slavko Avsenik was a Slovene composer and musician. Beginning in 1953 with the formation of the Avsenik Brothers Ensemble, Avsenik produced more than 1,000 songs and enjoyed success both in Slovenia and in other parts of Europe and America, and is viewed as a Slovenian cultural icon. Roy C. Bennett was an American songwriter known for the songs he wrote with Sid Tepper, which spawned several hits for Elvis Presley. Between 1945 and 1970, Tepper and Bennett published over 300 songs. Steven Wayne Benson was an American convicted double murderer of his mother, tobacco heiress Margaret Benson; and his brother, tennis player Scott Benson. He was born in 1951 in Baltimore. Diana Love Webster was an American actress, born in Bermuda who was known for her marriage to actor Kirk Douglas, from 1943 until their divorce in 1951. 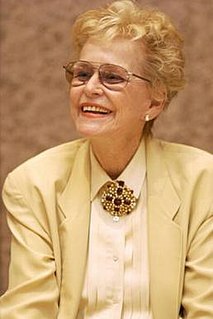 Diana Douglas was the mother of Michael and Joel Douglas. The Indian Fighter is a 1955 American CinemaScope and Technicolor Western film directed by Andre DeToth and based upon an original story by Robert L. Richards. The film was the first of star Kirk Douglas's Bryna Productions that was released through United Artists. The film co-stars Elsa Martinelli, Walter Matthau, Lon Chaney, Jr. and Kirk Douglas's ex-wife Diana Douglas. Abdullah bin Abdullaziz bin Musa'ed bin Jiluwi Al Suad was governor of the Northern Borders Region. He served as the Emir of the northern border region and its capital and administrative Arar from 1957 until his death in 2017, and before that he served as the Governor of Qassim region for ten years. He was one of the longest serving governors in the Kingdom. The Northern Borders Region is the least populated region of Saudi Arabia. It is located in the north of the country, bordering Iraq and Jordan. It has an area of 111,797 km² and a population of 320,524 at the 2010 census. The region is sub-divided into three governorates: 'Ar'ar, Rafha and Turayf. Its capital is 'Ar'ar. Ayatullah Sayyid Muhammad Baqir Al-Mūsawī Al-Muhrī was a Kuwaiti Ayatullah. He studied in seminaries in Najaf, Iraq under Grand Ayatollah Abul-Qassim Khoei and Mohammad Baqir al-Sadr. He was representative of many Maraji in Kuwait. Andrew Clive Alexander was an English journalist and columnist for The Yorkshire Post, The Daily Telegraph and The Daily Mail. Princess Dorothea of Bavaria was a member of the House of Wittelsbach and a princess of Bavaria by birth. Through her marriage to Archduke Gottfried of Austria, Dorothea was a member of the Tuscan line of the House of Habsburg. Dorothea was by marriage the titular Grand Duchess of Tuscany from 8 November 1948 to 21 January 1984. She died in 2015. James Bonard Fowler was an American policeman who was a significant player in escalating the acute racial conflict that led to the Selma to Montgomery marches in the Civil Rights Movement. As a corporal in the Alabama State Police in 1965, he shot and killed an unarmed black man, Jimmie Lee Jackson, a killing that went without justice for 45 years. He was convicted of manslaughter decades after the incident. Max Annett, 84, Australian Olympic rower. Inge Glashörster, 88, German Olympic sprinter. Ernie McCullough, 89, Canadian Olympic sprinter. Han Heijenbrock, 85, Dutch Olympic rower. ↑ "RUSSELL WOOD". Archived from the original on 2017-06-22. Retrieved 2015-08-08. ↑ AARON E. WASSERMAN Ph.D.
↑ "Songwriter and performer Ernie Maresca passed away..." Archived from the original on 2018-10-21. Retrieved 2015-07-16. ↑ Was this unknown man Italy’s greatest collector? ↑ "Nova Pilbeam: Alfred Hitchcock's star who vanished from view"
↑ "Nachruf Dagmar Hilbig". Archived from the original on 2015-07-22. Retrieved 2019-04-07. ↑ Died filmmaker who directed "Little Vera"
↑ "In Memory of David Faber 1928 - 2015". Archived from the original on 2015-07-31. Retrieved 2015-08-08. ↑ "Illustrator and Reddingite Fred Otnes dies at 89". Archived from the original on 2015-08-11. Retrieved 2015-08-08. ↑ "Ken Earl, Founder Of The Porton Down Veterans Support Group, Dies". Archived from the original on 2016-01-27. Retrieved 2015-08-19. ↑ Buzz Bowers, Wayland HS Grad, Korean War vet, Dies at 86.